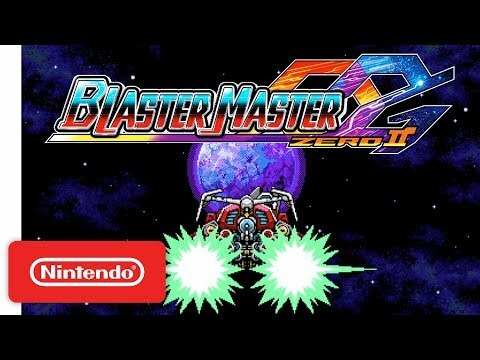 The side-scrolling/top-down hybrid action adventure gameplay returns with a brand new sequel to Blaster Master Zero! 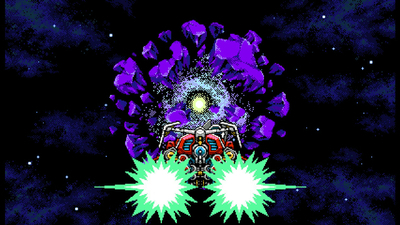 - G-SOPHIA's Gaia System is the key to maximum mutant blasting efficiency! 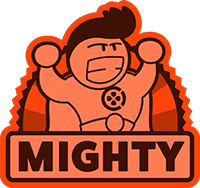 The Gaia System converts the energy created by the impact of falling from tall heights or taking damage, then turns that energy into SP. By making good use of the terrain, more and more SP can be recovered, allowing Jason to use more of G-SOPHIA's sub-weapons. Mastering the Gaia System brings out G-SOPHIA's full potential, allowing players to traverse stages in an ultra-satisfying way. - Get familiar with Jason's new technique, the BLAST COUNTER. Jason's got a new trick up his sleeve! 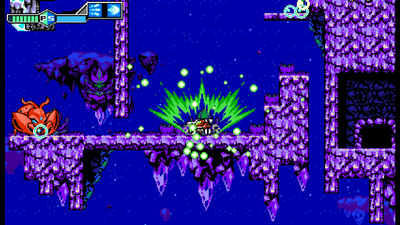 In top-down view stages, Jason can initiate a BLAST COUNTER at the moment an enemy makes an attack, allowing him to deliver a powerful counterattack. 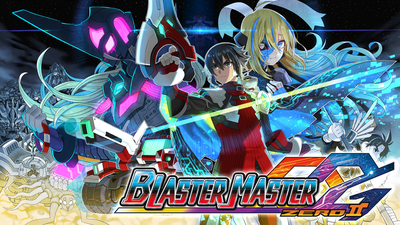 - Power up G-SOPHIA and Jason as you travel across the galaxy! - A whole new group of Metal Attackers with their own pilots and support droids takes the stage! Throughout his journey, Jason crosses paths with a motley cast of Metal Attacker battle-tank pilots and their respective support droids. Sometimes they're friend, sometimes they're foe. The Blaster Master Zero series was born after Inti Creates acquired the license for the original Blaster Master game for the NES from Sunsoft.